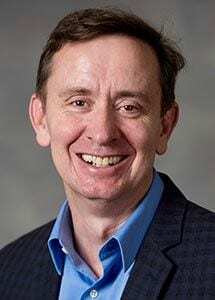 Peter Felten is a professor of history, assistant provost for teaching and learning, and executive director of the Center for Engaged Learning at Elon University. His current research focuses on the influence of human relationships, and on individual and institutional change, in undergraduate education. His books include the co-authored volumes: The Undergraduate Experience: Focusing Institutions on What Matters Most (Jossey-Bass, 2016); Transforming Students: Fulfilling the Promise of Higher Education (Johns Hopkins University Press, 2014); Engaging Students as Partners in Learning and Teaching (Jossey-Bass, 2014); Transformative Conversations (Jossey-Bass, 2013); and the co-edited book Intersectionality in Action (Stylus, 2016). He has served as president of the International Society for the Scholarship of Teaching and Learning (2016-2017) and also of the POD Network (2010-2011), the U.S. professional society for educational developers. He is co-editor of the International Journal for Academic Development and a fellow of the Gardner Institute, a U.S. foundation that works to advance equity, social justice, and mobility in higher education. 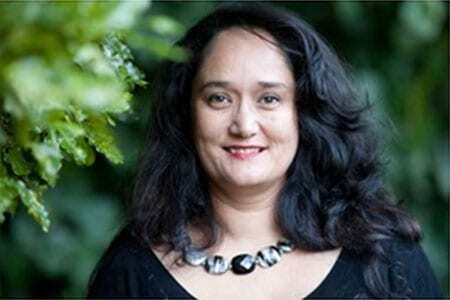 Melinda is a former Fulbright/Nga Pae o te Maramatanga Indigenous Scholar who has published widely on the nature of ethnic identity development, examining the ways race, ethnicity, culture and identity impact the lives of young people,­ particularly Māori students. In 2016, Melinda was awarded an esteemed Marsden Fast-Start grant to undertake a research project examining the distinctive identity traits of Ngāpuhi, New Zealand’s largest iwi. In 2017, Melinda was awarded a prestigious Rutherford Discovery Fellowship to tackle an important question facing educators – ‘How can we foster cultural pride and academic aspiration among Māori students?’ – using culturally informed and iwi-determined research methods. Meegan Hall (Ngāti Ranginui) provides strategic academic leadership to increase awareness of and grow engagement with Māori knowledge and people in the University’s learning, teaching and research contexts. This complements her academic development role within Victoria’s Centre for Academic Development, where she works with academic staff and teaches about Māori culturally responsive teaching and learning practices. Meegan is a Principal Fellow of the Higher Education Academy (now Advance HE), a Principal Investigator for Ngā Pae o te Māramatanga, New Zealand’s Māori Centre of Research Excellence, an Executive member of the Māori Association of Social Science, an Associate Editor for the International Journal for Academic Development and is on the Editorial Board for the journal, SOTL in the South. 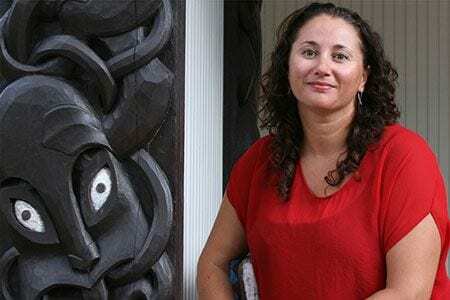 Her research focuses on Indigenous people in higher education, which combines her interest in higher education learning and teaching with her disciplinary background in Māori studies and her academic development work with Māori academic staff and students. 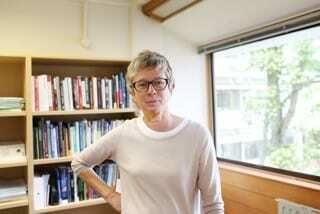 Jane was previously Chief Researcher at the New Zealand Council for Educational Research (NZCER). Before that she worked in the Schools of Education at Victoria University of Wellington and the University of Waikato. Many years ago, she was a secondary school teacher of science. She is the author of Catching the Knowledge Wave? – The Knowledge Society and the future of education, published in 2005. For about twenty years Jane has mainly worked on the question of how and why schools and other educational institutions need to change if they are to be ‘fit for purpose’ in the Knowledge Age and/or the Anthropocene. She has published many papers, led several research projects, and carried out consultancy work (for school, government, and community groups) on a wide range of educational futures questions. She recently completed a three-year research project that followed a group of teachers as they participated in a professional learning programme designed to foster “future-oriented” thinking. The findings from this project have led her into complexity theory, and an interest in unpacking the way concepts like collaboration, partnership, interaction and innovation are being interpreted in educational contexts. Emily is a third-year undergraduate student from the University of Western Australia, where she is completing a Bachelor of Biomedical Science with a major in Genetics. She hopes to pursue post-graduate research at the completion of her degree. Emily has a particular interest in medical genetics, molecular biology and pharmacology, but she also has an avid interest in science communication, science journalism and biotechnology. In 2018, Emily presented at Ako Aotearoa’s annual conference with a session titled A student voice on the student experience: busting the dominant myths. Being acutely aware of what she terms higher education’s ‘Fourth Wall’, which divides professors and students in many institutions, Emily is dedicated to enriching the student experience. She believes that breaking the invisible fourth wall could have far-reaching impacts on the relationships between student and professor by enriching teaching environments and student productivity as well as encouraging engagement in coursework and career development learning. My name is Rashmi, I am from India, and grew up in Hong Kong. I have been living in New Zealand for the past 4 years and I am proud to be a mother to an 11 year old boy. I am a domestic student and am currently writing my thesis to complete the MCom program to progress onto my doctoral studies. My specialization is International Business and my research interests are emerging markets. I am passionate about teaching, research and I love sharing my knowledge. My classroom teaching sparks curiosity and includes rarely obtained information. I have been teaching for the past 13 years. I am an avid reader, enjoy treks, practice yoga and an amateur aurora hunter. I am an international student from mainland China. I graduated from the University of York (England) in Educational Studies and I’m currently a PhD student at Centre for Learning and Research in Higher Education at the University of Auckland. My research field is academic emotions in doctoral education. I am excited to be part of the HERDSA 2019 and I look forward to seeing you in Auckland! Kia ora, e te whānau, I am in my final year studying a bachelor of computing systems (majoring in Cybersecurity) at Unitec Institute of Technology. I am a second generation Aucklander and a proud mother of two girls under the age of 8 years old. I am the ISACA student group president and 2018 Women Techmakers Scholar (formerly the Dr. Anita Borg). I am passionate about education and STEM education for Māori and Pasifika. In my spare time I volunteer for an amazing organisation called OMGTech! They are about enabling kids with the access to access future technology. I am excited to be on this panel and surrounded by like minded people who have the passion for education. Ali Leota is of Samoan descent and the National Pasifika Liaison for the New Zealand Union of Students’ Associations (NZUSA) where he is building capacity in Pasifika student voice across Aotearoa New Zealand. With this role he is the Pasifika student representative on the Academic Quality Agency’s Cycle 6 Academic Audit National Enhancement Theme Steering Group, that seeks to enhance access, outcomes and opportunities for Māori learners and Pasifika learners within New Zealand Universities. After his leadership in the successful Fairer Fares campaign, the implementation of a tertiary student fare on to the Greater Wellington Region public transport network, Ali has developed a passion to make higher education more accessible for Pasifika people. A recent graduate of Whitireia New Zealand and Manukau Institute of Technology; Ali is now pursing further education with a Bachelor of Health in Population Health, Policy and Service Delivery at Victoria University of Wellington. Kia ora e te whanau, ko James Ranstead tōkū ingoa. I come from the mighty Waikato, studied a BSc (Conservation & Ecology) at Lincoln University, and am beginning a MSc Environmental Change & Management at the University of Oxford, UK in September. In 2018 I was President of the Lincoln University Students’ Association, and was am currently serving as the President of the New Zealand Union of Students’ Associations. I am incredibly passionate about the power of education in creating opportunity, and am excited to not only be a panelist, but to also be present for the length of the conference.